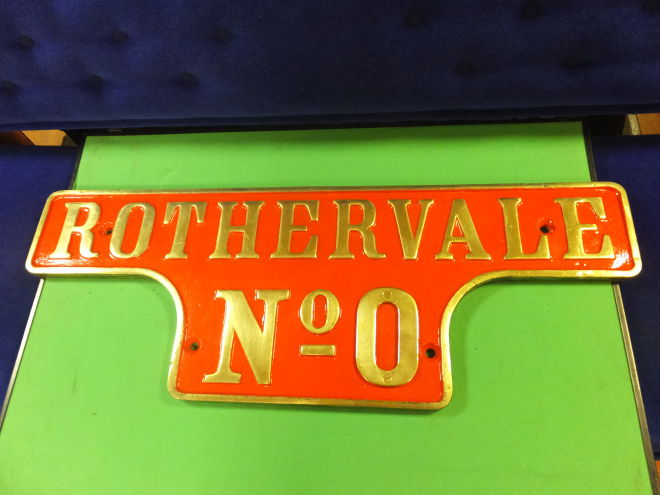 Today, March 6th 2014, The Chasewater Railway Museum received a visit from members of the Industrial Railway Society. 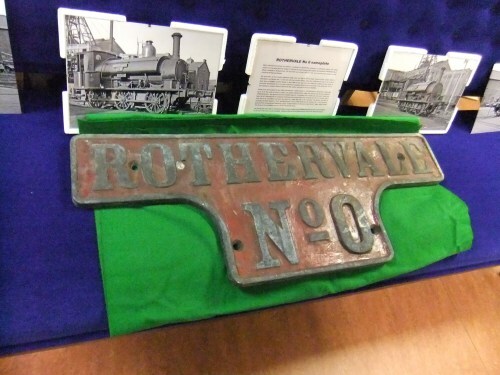 The principal reason for this visit was for the IRS to receive, on loan, a nameplate from the locomotive ‘Rothervale No.0’ from Mr. Bernard Mettam, and in turn, and with Mr. Mettam’s approval, place it on loan with the Chasewater Railway Museum. The above pic was taken on arrival, the one below was taken on 16-6-2015, after a little(!) attention from Pete Stamper. This entry was posted in Museum Exhibits. Bookmark the permalink.